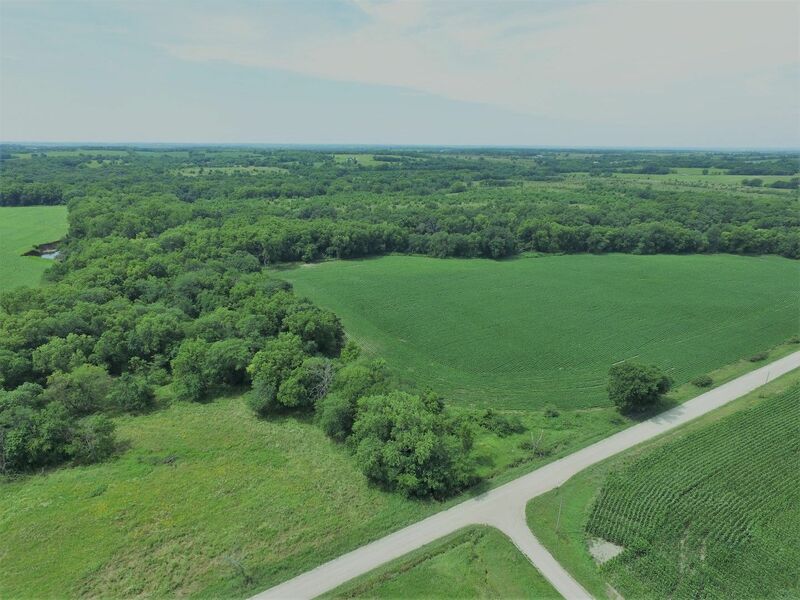 Just north of Pomona reservoir, this is an incredible Kansas deer property offering high quality and beauty as well! 110 Mile Creek runs through this 155 +/- acre parcel with this portion being lined with towering hardwoods. The majority of the trees are oak, walnut and pecan with a large amount of marketable timber if you’re looking for return on assets. Adjoining the creek to the north is a crop field totaling approximately 15 acres featuring highly productive soils. There are numerous locations throughout the property that would make great sites for added food plots. The pasture portions of this tract are brushy and you couldn’t ask for more ideal bedding areas with privacy! This is a top shelf Kansas hunting property with tremendous upside when put in the hands of a hunter. The price on this parcel is firm. Driving Directions: From Lyndon - Go North on Hwy 75 for 8 miles to 181st St. and turn East. Proceed 3.4 of a mile and property is on the South side.